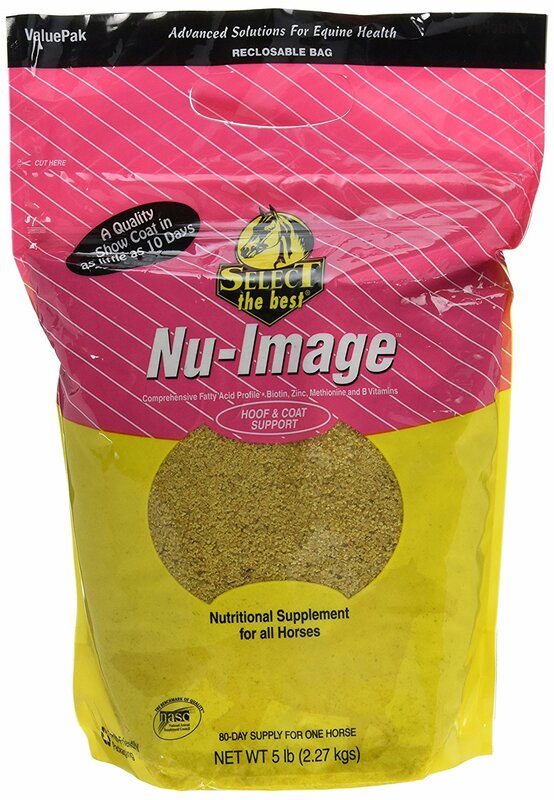 Nu-Image is a scientifically formulated nutritional supplement rich in Omega-3 and Omega-6 Fatty Acids, fortified with Biotin, Zinc, Amino Acids, and is designed to promote the growth of exceptionally healthy, luscious hair, mane, and tail. Nu-Image is a high-quality coat conditioner with exceptional value at pennies per day – even less than corn oil, without the mess. 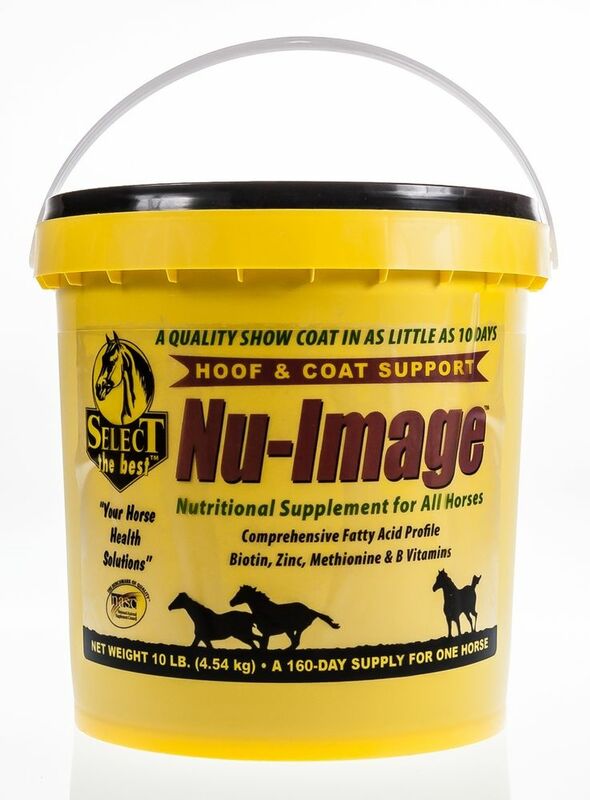 Formulated to work with all feeding programs and other supplements safely, without fear of over-supplementation, use Nu-Image to give your horse a show quality coat in as little as ten days.